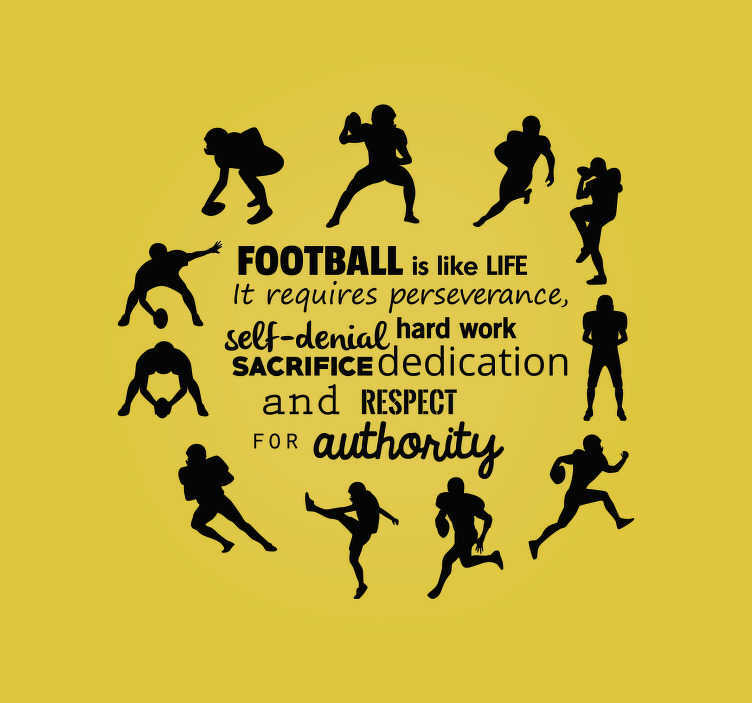 This wall sticker describes what many people think, and that is that football is life. The beautifull quote is presented on this sticker which states ´Football is like life it requires preservance self denial hard work sacrifice dedication and respect for authority. What are you waiting for? put this wall decal of football in your room!